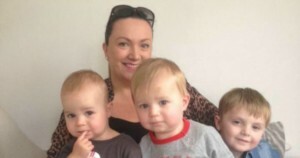 “What I thought was going to be a routine visit to the GP ended up with me rushing him to the emergency department at Adelaide’s Women’s and Children’s Hospital. Call it mother’s intuition, but I knew something just wasn’t right. After expressing my concerns, our GP decided to do a simple urine test on Charlie. I remember looking at the stick and seeing it immediately turn dark brown. I don’t recall much about what he said, my mind began to race after I heard the words “type 1 diabetes” and “emergency”. 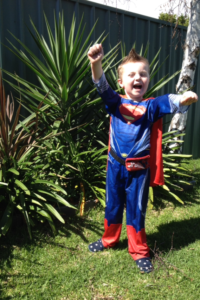 “Like many others, when Charlie was diagnosed, we knew nothing about type 1 diabetes. We now know that type 1 diabetes is an autoimmune disease where the immune system stops the pancreas from producing insulin. There is currently no cure. My message would be to be aware of the signs and symptoms of type 1 diabetes, and trust your intuition. Looking back now, all the symptoms were there but I guess we didn’t realise anything was seriously wrong. We put some of Charlie’s symptoms down to the fact that there were two new little people in the house causing a change in his routine. Charlie had been toilet trained, but then he started to have accidents – every now and then at first, to every week, to every night. 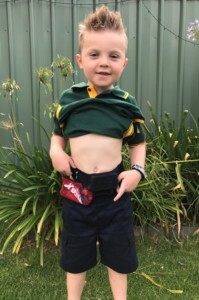 His thirst was uncontrollable, which we now know is one of the classic symptoms of T1– it was his little body’s way of trying to flush the sugar out from his system. He was also constantly hungry and eating, but not putting on weight. “Type 1 diabetes is like a roller coaster ride and no two days are the same. It has had a huge impact on our family, but it’s made us even more proud of our ‘Super Charlie’ and the way he handles his challenges on a day-to-day basis. We have adapted to our ‘new way’ of life: pricking Charlie’s finger to test blood glucose levels throughout the day and night; before and after meals. The hardest thing was learning to give our son insulin injections to keep him alive. We were so nervous bringing Charlie home from hospital, but we adapted to our new routine: reading food labels, counting carbohydrates, weighing his food, planning ahead for everything… it just became the norm. At 3.5 years of age, he was taking this all in his stride. We were in awe of how well he accepted his new way of life and was happy to just get on with things. The support we received from the Women’s and Children’s Hospital was nothing short of fabulous. Charlie’s endocrinology team became our rock. They were so understanding and supportive when things became overwhelming.